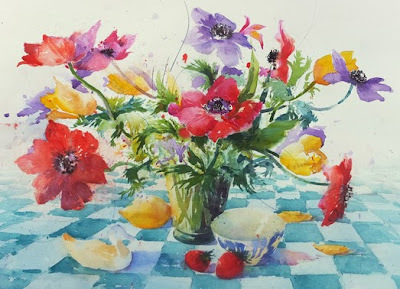 Another painting which will appear in the exhibition tomorrow and my favourite piece! 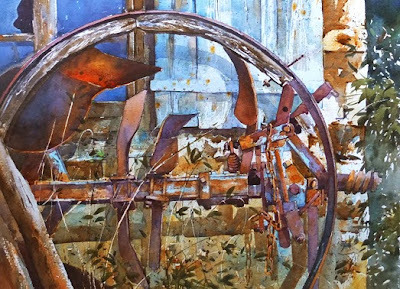 It's a watercolour of an old cartwheel and rusty old plough propped up against an old stone barn in a village near where I live. 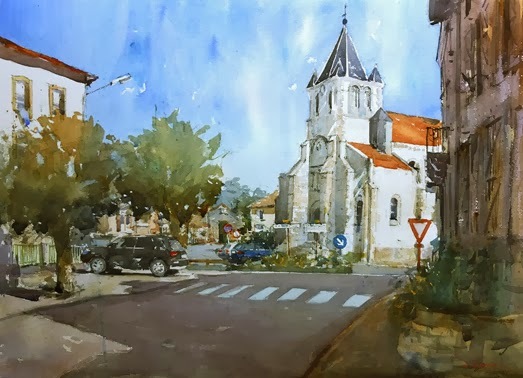 Today's painting shows the church at Oradour and if you walked to the end of the road and looked to your right you would see the Gallery.